Indian shares closed 1 percent lower on Monday, dragged by oil marketing companies and financials, while investors were cautious ahead of key inflation data due later in the day. 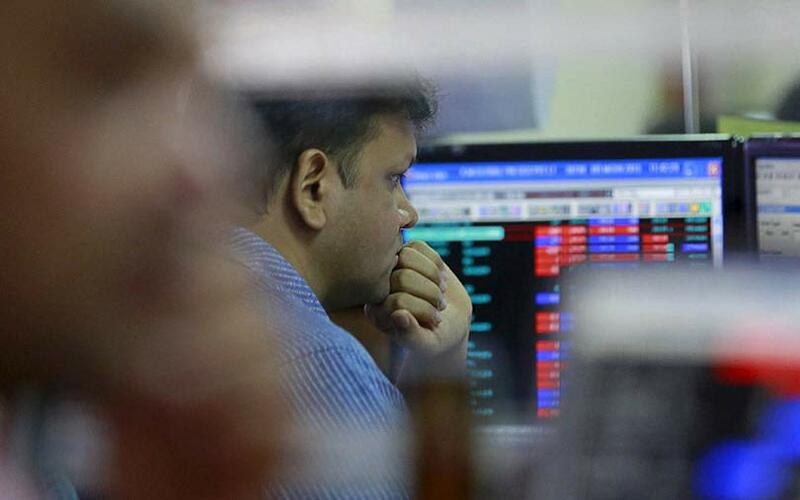 The benchmark BSE Sensex fell 0.98 percent to 34,812.99, while the broader NSE Nifty declined 0.97 percent to 10,482.2. Both indexes closed lower for a second straight session. Hindustan Petroleum Corp Ltd was the top percentage loser on the NSE index with a drop of 6.73 percent, while Indian Oil Corp Ltd fell 4.66 percent. Brent crude futures gained as much as 2.42 percent. Bajaj Finance Ltd closed 4 percent lower.